Shrinking & shifting ranges could imperil nearly half of North American birds within this century. Story here. 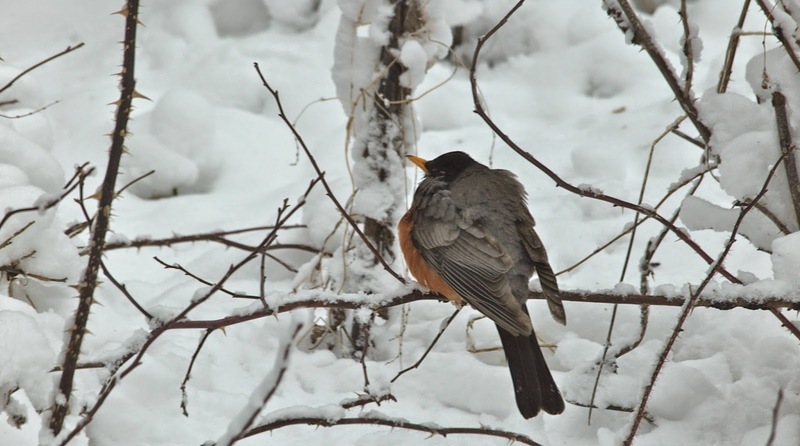 A robin caught in a freak storm in Manitoba. Barn swallows.